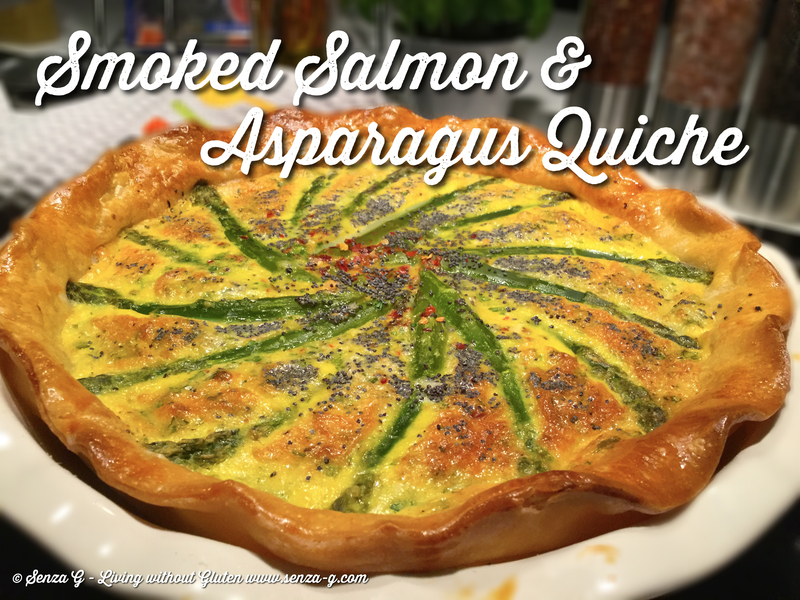 This quiche is one of my ‘Emergency Dinner Recipes’, for when its late and you still have to cook something or else when you want a no fuss recipe! Everything is either in your freezer, fridge or cupboard and you only have to put them together! As easy as that! Line a round, lightly greased quiche dish with the ready made puff pastry. Mine happened to be slightly bigger than the dish so I left the edges slightly fluted instead of trimming it down. Prick the bottom with the prongs of a fork. Scatter the diced smoked salmon on the bottom of the crust. Put also bits or rather blobs of the Stracchino at the bottom too and try smooth it with a fork to level. In a large bowl, beat the eggs with the cream, season with salt and pepper and then add the chopped parsley and the grated cheese to it. Combine well. Pour this custard in the dish gently. 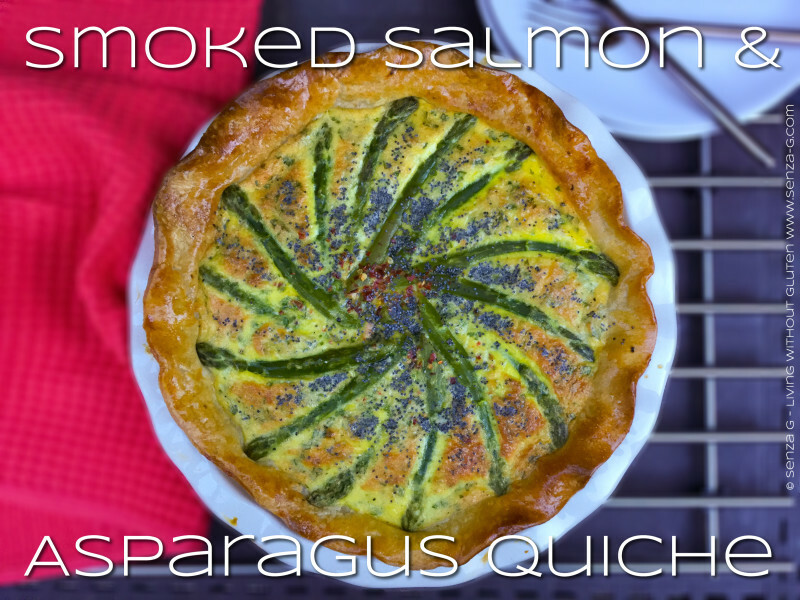 Place the asparagus spears decoratively in a pinwheel fashion on top. Sprinkle with poppy seeds if desired. Brush the pastry edges with diluted egg yolk which gives a lovely sheen and colour to the pastry. Place in a preheated oven at 200C. After about ten minutes, take it out and gently cover the crust edges with foil so they will not burn. Put back in the oven, lower the temperature to 180C and continue to cook till the custard is set. Take out and leave to cool for about 10 minutes before serving. *I froze the salmon for a few hours which makes dicing it much easier. ** I added the extra white to the other eggs. If you do not find Stracchino, you can try using Ricotta which am sure will come as good.